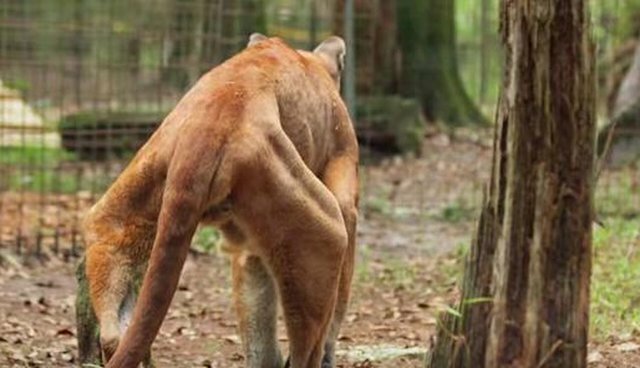 Mickey the cougar could barely walk when rescuers found him. Mickey had languished for years in a nightmarish backyard zoo in Alabama that was operating without a license - its USDA license was revoked in 2006. 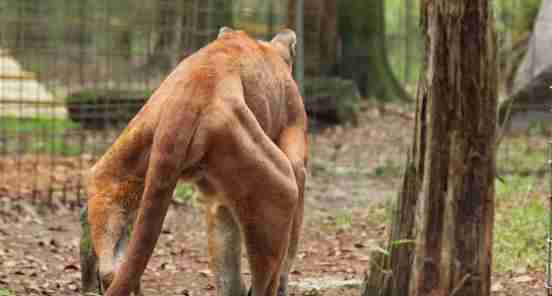 It had been discovered that the woman running the zoo, which was also serving as the local dog pound, was feeding domesticated dogs to her exotic cats. 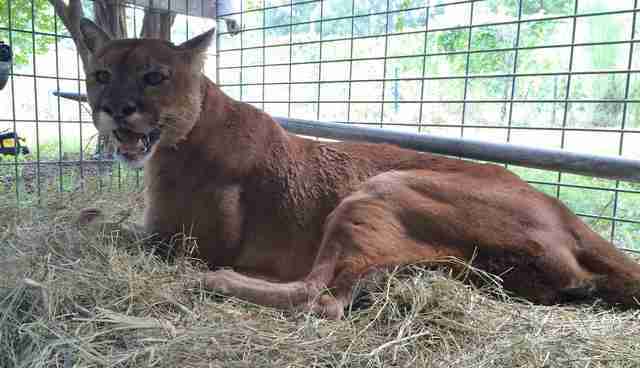 Big Cat Rescue was determined to save any animals it could from this horror story. 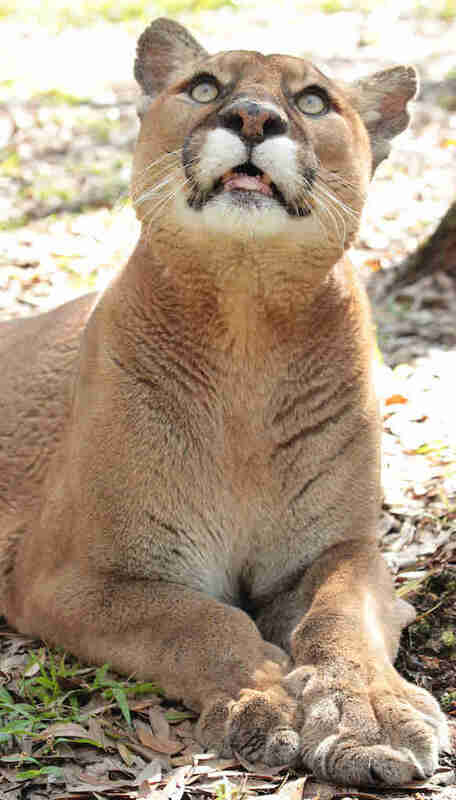 In 2014, Big Cat Rescue negotiated with the owner of the captive wild animals, and last August she finally surrendered Mickey to the Tampa-based rescue organization. When Mickey was finally rescued, he was emaciated, his teeth were rotting and his legs were so debilitated from what specialists believed were torn ACLs that he could barely stand up. After further examinations, veterinarians determined that Mickey's knees were ravaged, with no ligaments or cartilage left at all. "It had to be incredibly painful," Susan Bass, of Big Cat Rescue, told The Dodo, "but he's such a sweetheart, he never even let on that he was in pain." Rescuers wondered whether euthanasia was the only way to ease his suffering. But the vets were determined to help him. Veterinarians tailored surgeries for Mickey to give him every chance possible at a happy life. The doctors used artificial ligaments to stabilize Mickey's knee and helped him learn how to walk again with physical therapy. "He's never going to walk perfectly but he's doing incredibly well, and he's able to get around on his own," Bass said. "We're so happy to be able to give him a home for the rest of his life." 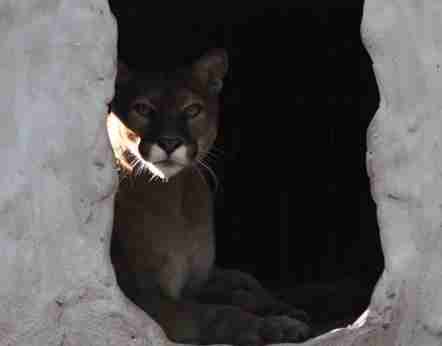 Help Big Cat Rescue carry out their incredible rescue work here.